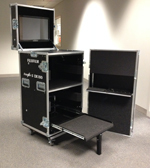 All purpose dye sub printer carrying case. Works great with Hiti printers, Sony UPCX1, DNP's RX1, DS40, DS80, and Mitsubishi CPD70's. 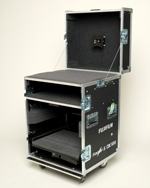 The Fuji DX100 Rolling Case is designed specifically for the Fuji DX100 printer and is ideal for transporting the printer to events and on-location jobs.